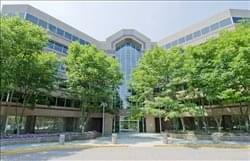 Find My Workspace lists over 95% of the executive office suites market in McLean. Simply click Request Quote to check pricing for one office, or Add to Basket for multiple offices. This center is a professional and productive workspace for a team to thrive. There are conference rooms for collaborations, phone rooms for privacy and a wellness room. You can enjoy the premium amenities and unmatched hospitality such as craft coffees, artisanal pastries and fresh fruit. There are copy and print facilities to ensure your work is done and ultra-fast internet to ensure you’re up-to-speed. Offering fully furnished workspaces that include Wi-Fi, a spacious reception area, equipped meeting rooms with video conferencing, and a fully-appointed kitchen and lounge area, this office complex offers surface and garage parking as well as other work space amenities including an on-site gourmet deli, dry cleaner, putting green and fitness center. This exquisitely furnished and exceptional standard corporate business center is situated in a landmark and stylishly renovated building with fascinating historical links and a hugely significant reputation as a key commercial hub and corporate venue facilitating some of the region’s foremost workspace services for a number of hugely successful business residents. With a multitude of differing and exceptionally innovative workspace solution packages available for prospective occupying tenants, this center provides an incredible degree of flexibility, versatility and freedom to tenants with particularly specific corporate requirements. 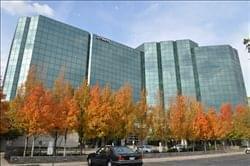 This centre is located in the heart of Tyson’s Corner Virginia, has been providing fully-equipped professional office solutions for independent professionals, rapidly growing businesses, and home-based workers for over 10 years. In close proximity to the Nation’s Capitol, the space offers a complete office solution, so you can devote your time, attention and investment capital to your business. The centre understands the constantly evolving nature of today’s business environment and we provide customized personal service, flexible terms, competitive pricing and the most up to date technology and premier office space to meet your needs. Whether you need a temporary office, an executive office suite, a meeting room, a training room, a work cabin or just a mailing address and a virtual receptionist, we have a solution for you. The centre offers a full range of cost –effective services which are specifically designed to give that competitive edge in today’s business world. Maximize you time and money, the centre’s wide range of services will allow you to operate you business more efficiently, ultimately increasing you team’s productivity. Our high occupancy and low turnover are a demonstration of our commitment to customer service and satisfaction.